← What Do Bookshelves Reveal About You? In my post on March 12, 2018, I covered a story from Time Magazine about Matt de la Pena, a writer of children’s books, arguing that it’s OK for there to be a dark aspect to children’s books. 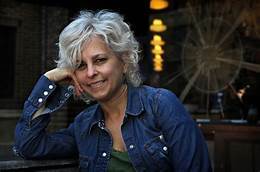 In a follow-up to that article, there is another on the Time website by Kate Dicamillo, an award-winning author of sixteen children’s books. The connection between the two authors is this: Matt asked Kate whether it is the job of a children’s author to tell the truth or to preserve innocence.